"Speaking on the BBC’s ‘Today’ program this morning (17.12.05), Nigel Farage MEP poured scorn on any claims that the European Union Budget deal had any benefits for Britain, “I think that people would prefer spending £1 billion of our money a year on district hospitals”, he said “rather than building a metro system for Warsaw”. Claims made by Mr Blair that this was a good deal for the UK were “fiction”, he said. “Mr Blair has given up the rebate, and Mr Chirac has merely offered talks about talks on reforming the subsidy junket that favours French farmers”, he said later. 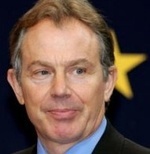 Blair has always said that he would not give up the rebate without reform of the Common Agricultural Policy. As a swansong to a dying British Presidency, this summit was an abject failure."